Planning or re-modelling a kitchen used to be a complicated, time-consuming, and rather expensive endeavour – and all of that even before the first payment for furniture or appliances had been put down. Thankfully, the times when you needed to employ the help of architects and home interior designers just to come up with a visual what your new kitchen could look like are long since past. These days, all you need is a kitchen design software you’re comfortable with to comfortably and easily draw up plans for a new or re-outfitted kitchen. Sounds easy? That’s because it is! One of the main reasons why kitchen (re)designing used to be a job for specialists is the very simple fact that a kitchen, in stark contrast to any other room in your home except the bathroom, comes with quite a few constraints you need to work with and work around. In every other room in your house, moving around and exchanging furniture without or with little regard to existing fixings to your heart’s content poses no problem at all. In kitchens (and to a lesser extent the bathroom) there are a wealth of (mainly) water and electricity fixtures you have to not only have, but also take into account while planning the layout and subsequent design of your kitchen. The most perfect, much coveted, wine cooler won’t do you any good if there’s not outlet near enough to have it running, and similarly, even the most cost and energy-efficient dishwasher won’t be any help to you if you missed to draw in a way to connect it to the sewage system, or a way to connect it to the water supply. And that’s exactly where home design softwares targeted specifically at kitchen designs, or at least putting a heavy emphasis on supporting kitchen design, come in. These programs not only help you to draw up the kitchen of your dreams, and outfit it with any possible furniture and appliance you could want to, they also help you not loose sight on what needs to go where in order to actually make your kitchen usable. As with almost anything on computers and/or the internet these days, there are quite a few different software options to choose from, ranging from free online programs to highly sophisticated paid home design softwares. To help you cut to the chase quicker and get you started on the actual planning and designing work in no time at all, we have collected the best kitchen design software options currently on the market for you to choose from here. While Smart Draw doesn’t exactly qualify as kitchen design tool at first glance, it still is one of the cleanest, easiest to use products on the market. Smart Draw, in its entirety is a design or graphics tool that produces well over 50 different types of visuals, ranging from flow charts and graphs to a very respectable home and kitchen designs section. Smart Draw isn’t cheap, we will admit to that, but if you find yourself in a situation where you can make use of the wealth of other options on offer as well, this clean, uncluttered software might be a good fit for you and well worth its money. Prodboard is a dedicated online kitchen planning software from an Ukrainian company. Officially, it is targeted at furniture companies, though you can use it just as well as private user. Prodboard offers you crisp graphics with measurements being displayed even in the 3D view, and comes with a dedicated closet planner which is a rarity in 3D home interior design softwares. 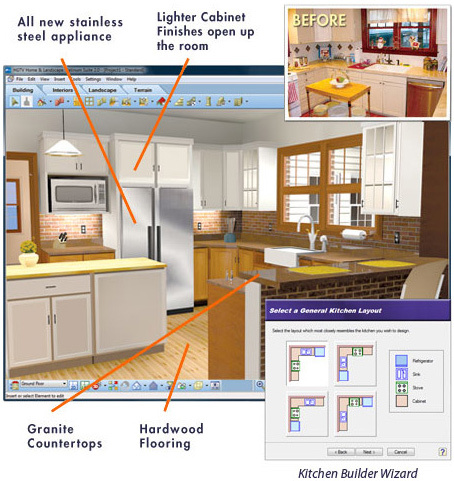 The only let-down of this free kitchen design program is the fact that it doesn’t allow for walk-throughs. The very popular home designer software by Chief Architect possibly is the best you can get in that price segment. 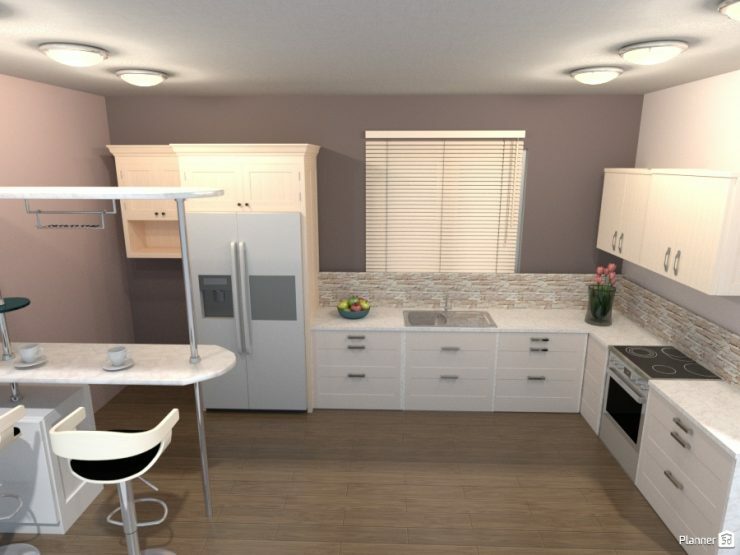 While the program itself is a full interior design program that allows for planning and remodelling of any room in your home, it offers a wide range of options for designing your new kitchen that won’t leave you disappointed. 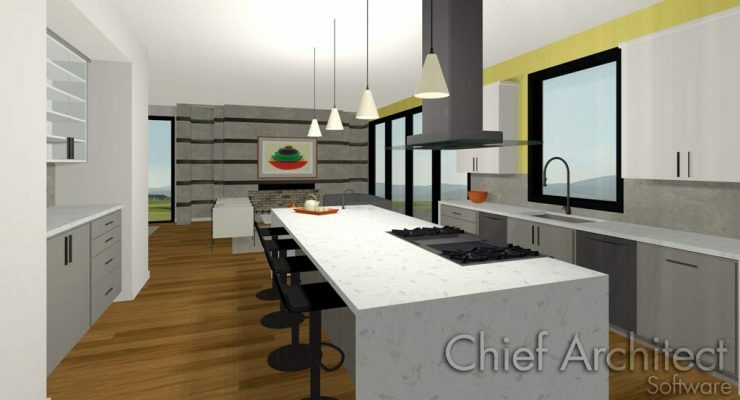 Chief Architect’s Home Designer Suite does come with a steep learning curve, and you will need to put in some effort at first, but once you have a good grasp of what you can do, and how, the sky’s the limit when it comes to designing your perfect home! 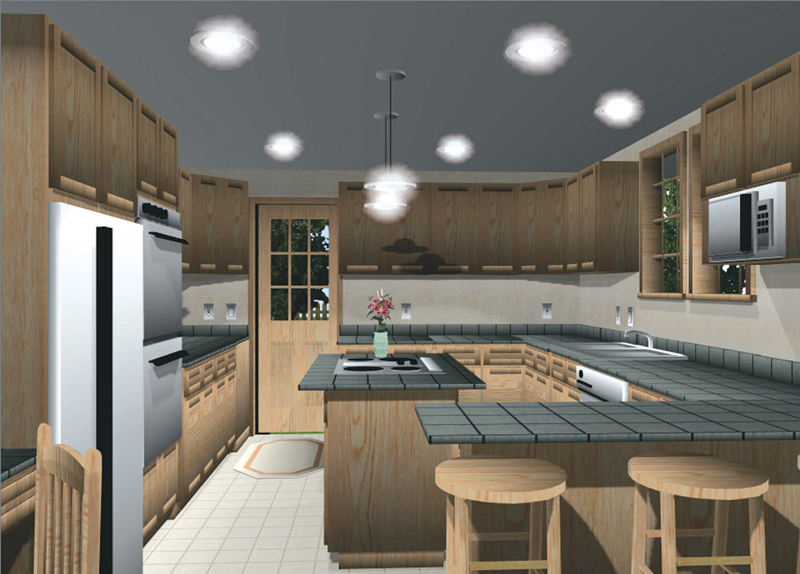 SketchUp is the free and moderately easy to use little brother of the paid SketchUp Pro. This browser-based software has the undeniable advantage that there’s no need for you to start your kitchen designs from scratch. 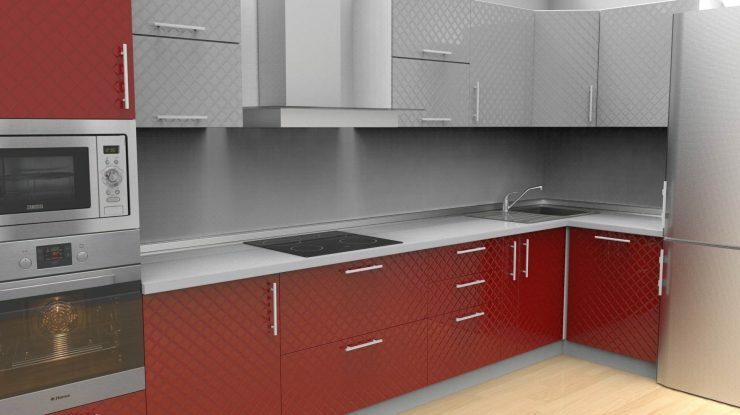 Just pick one of the thousands of designs available in the 3D warehouse as your base and develop your dream-kitchen from there. On the downside, this well-liked program doesn’t come with any company-sided support. That alone, however, shouldn’t deter you – the extensive and very active user base is more than enough to offer valuable peer support for any question you can come up with. Punch’s design software is a professional-grade tool that offers quite a lot, but therefore also comes at a price. As the name suggests, this program is a home design tool and not specifically targeted at kitchens, but nevertheless offers all of the features for building the kitchen of your dreams, and then some. Punsh’s software is an involved program and, as you would expect from a near-professional software, comes with quite a learning curve. That being said, the basics are easy to grasp, and once you set aside a weekend for playing around with the program you probably won’t encounter too many difficulties, no matter how elaborate your project. IKEA’s kitchen design tool is part of the ever-growing home-design software range the Swedish retailer offers for free on its website. If you’re mainly concerned with your furniture and appliances placement in the available space, and don’t want or need elaborate photo-realistic 3D rendering, the IKEA software is a good choice for you. Where many kitchen design softwares are not too terribly concerned about cupboards overlapping, this program simply won’t allow any object to be places where it doesn’t fit – just as reality does. Another strong suit of this free software is the handy notepad alongside the actual design centre that allows for jotting down good ideas or just random thoughts that you might to pursue at some later date. Among the paid home and/or kitchen design softwares, Virtual Architect’s program is by far the easiest when it comes to actually using it. From the very start on, handy video tutorials and written guides walk you through the process of creating and designing on every step of the way. And if you run into a road-block regardless, there’s a great FAQ section on the website at your disposal as well. When it comes to the design process itself, the program scores with one of the largest object library of all kitchen design softwares. And if that’s not enough for you, just pair it with SketchUp and gain access to a whole new universe of designs, tools, and objects! Virtual Architect’s software is without a doubt one of the best picks you could make if you’re looking for a great balance between ease-of-use and design possibilities. It helps you to easily create a perfectly planned kitchen that has so far only existed in your wildest dreams. 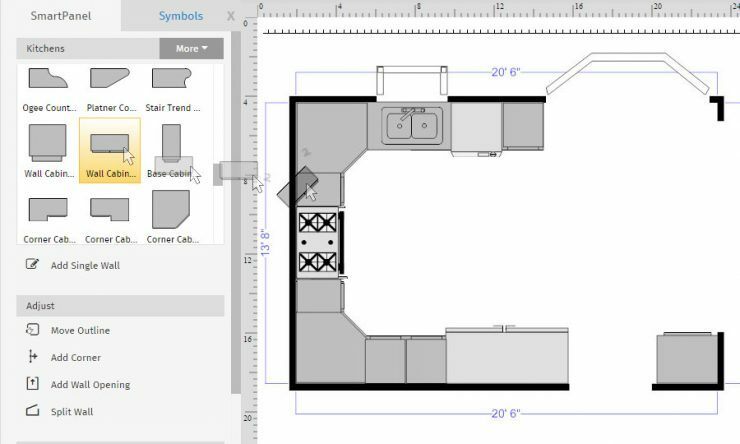 This (mostly) free online kitchen design tool is also available as app for your mobile devices. With the offered catalogue of more than 5000 design elements, you can easily create beautiful 2D and 3D renderings of your dream kitchen. 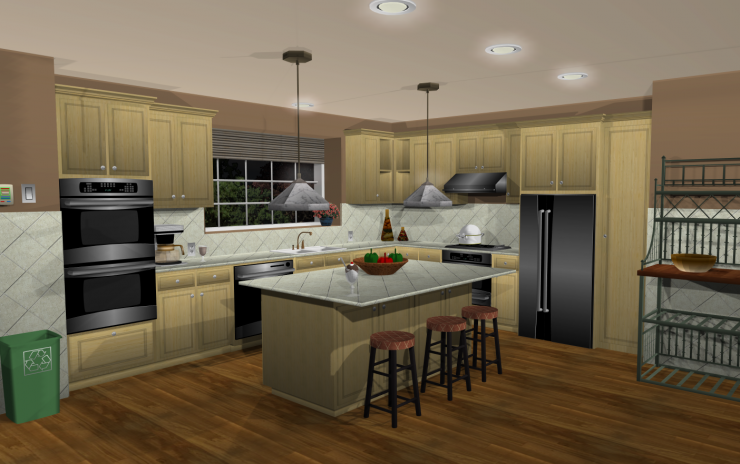 The ProKitchen design software is a paid program that won’t let you down. One of the biggest advancements ProKitchen has over its contesters is the library that incorporates products from over 300 manufacturer’s and appliance catalogues. This means, there is a very good chance that you can incorporate the exact appliance you have set your eyes on while designing your kitchen. The level of 3D rendering offered is incredible, which comes out best when you make use of the offered 360° view to have a good, realistic look around your future home. Despite its surprisingly low price, TurboFloorPlan’s Instant Architect software is a very sophisticated tool for designing kitchens. 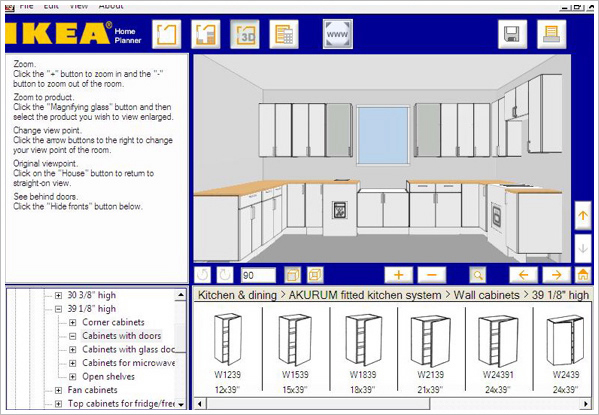 While it certainly lacks some of the features higher priced softwares provide, Instant Architect does a very good job of letting you design the kitchen of your dreams, and is rather easy to use on top of that. Whether you use one of the pre-installed sample designs as base or draw up your own kitchen plan, this design tool will have you deep in the design process in no time at all. With its cupboard designer and helpful tools to locate and place necessities like wiring and plumbing, your kitchen will be taking shape quickly. The built-in library with over 4000 objects further helps to get the job done easily, and if you want or need more, a simple hook-up with SketchUp allows you to use even more objects and pre-designs to make your vision reality.